Want to encourage girls joined -at-the-hip in your troop, to make new friends, but keep the old? Learn how to clique proof your troop! Want more support during your troop year? Learn how to engage families in your troop! Want to know how to plan awesome events for your troop or service unit? Take the Event Planning enrichment class! Come to a Leadership Summit. Take a variety of enrichment classes and essential required training. Meet and connect with your peers, enjoy a catered lunch, and start your troop year with the information you need to be successful! Register Now! Saturday, August 25, 2018 at Sand Creek High School in Colorado Springs. Register Now! Saturday, September 8 at First United Methodist Church in Loveland. Register Now! Saturday, September 29 at Community College of Aurora in Metro Denver. There are classes for older girls too! Girl Scout Cadettes, Seniors, and Ambassadors can participate in leadership enrichment courses to expand their skills and knowledge to prepare them for their future in Girl Scouts and beyond. Girls will sign-up for the entire day. This is a FREE leadership development opportunity! Girls should bring a sack lunch and light snacks will be provided. Sessions include Gold Award, Highest Awards and Take Action, Taking Ownership of Your Girl Scout Experience, Let’s Go on an Adventure, Using Your Leadership Skills for Change, and “Selling” Your Girl Scouts Experience. Meet other teenage Girl Scouts and share your experiences. We are thrilled to be offering both Gold Award and Highest Awards and Take Action trainings at Leadership Summits across the state for the summer and fall of 2018! You may be asking, “What is a Leadership Summit?” Girl Scouts of Colorado’s Leadership Summits are learning conferences that offer volunteers (and girls!) the opportunity to get energized for the new membership year and check required trainings off the to-do list. In addition to offering trainings for new and experienced volunteers, we are offering “Older Girl Leadership Summit” tracks at each event where older girls can participate in training all day. 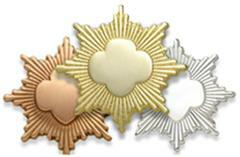 Gold Award Training is required for any girl interested in pursuing her Gold Award. Highest Awards and Take Action is the perfect opportunity to connect with other troop leaders about successful projects and learn how to let girls take the lead in making a difference in their community with Take Action projects that girls will complete in their Journeys, Bronze, Silver, and Gold Award projects. Super Saturday event, Gold Award training only. Girl Scouts of Colorado’s Membership Connection Committee (MCC) would like to wish each and every Girl Scout volunteer a happy summer break – maybe the summer brings a chance to recharge your troop leader battery by hanging out at the pool or doing a few fun activities. Or, maybe this is the year for the big camping trip or European adventure. No matter your journey, enjoy it! When it’s time to return to troop in the fall, please join the MCC at a Leadership Summit or Super Saturday Training. Leadership Summits provide a fantastic opportunity for newer volunteers to learn the ropes from more experienced volunteers. Or, if you’ve been a volunteer for a while, plan to come to share your knowledge with others and get some new ideas. It’s all about networking… Everyone kicks off the new year with the excitement gained by spending time with your peers whether you’ve been a volunteer for 10 years or 10 days! The MCC will be at all Leadership Summits and select other training events to conduct Voices 2018 while surveying members on a range of topics designed to provide feedback to the Girl Scouts of Colorado Board of Directors and senior council leadership. Your feedback is valued and important, please plan to stop by and visit with us and express your opinion! Interested in learning more? Search the GSCO Blog for “MCC” or visit us online at http://www.girlscoutsofcolorado.org/en/about-girl-scouts/membership-connection-committee.html. You can also contact the MCC Chair, Caroline Cornell at gsco.mcc@gscolorado.org for additional information.